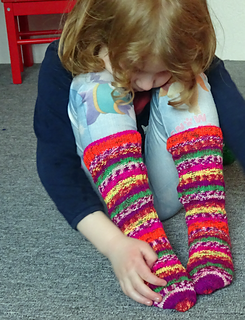 I think we’ve all been there… we knit a pair of socks for the little ones, they have a growth spurt and the socks don’t fit any more, after being worn just a few times. 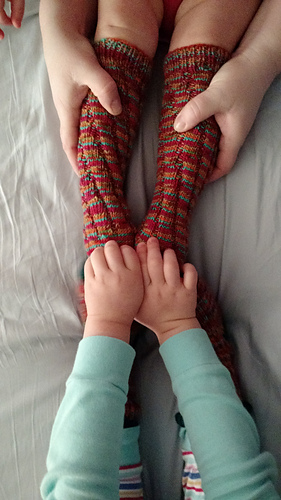 Tube socks without a heel are the perfect solution, they kind of grow with your child, and when they really don’t fit any more, you can make the next size up. 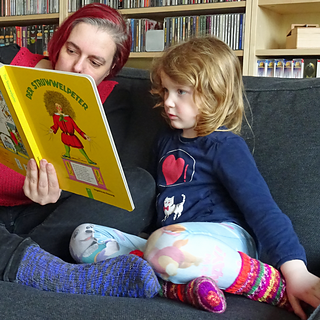 Of course, adults might want tube socks too, even though we won’t outgrow them any more. They are just comfortable to wear, since they can’t twist in a way that the heel ends up in the wrong place and bunches up in your shoes. 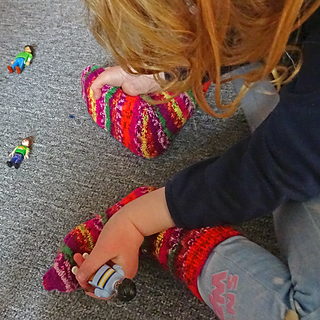 So, I created Socks for Gnomes and Giants, which come in most sizes from newborn to adult large—perfect for Gnomes, Fairies, Giants and everything in between. 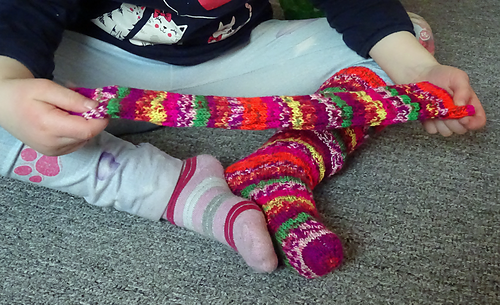 This free pattern only contains the instructions for the toddler size with one option for cuff and toes. 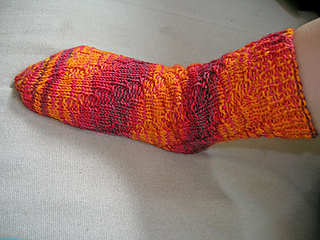 The full pattern comes with two options for the cuff and two for the toe, and a total of 7 sizes. It can be bought in my Ravelry store.